Glow in Dark Blue, it is nature white in environment with light and will glow with green in darkness. Just like “The girl cut in two”. It can be applied for artistic design, hauted hourses, toy etc to get a special effect. 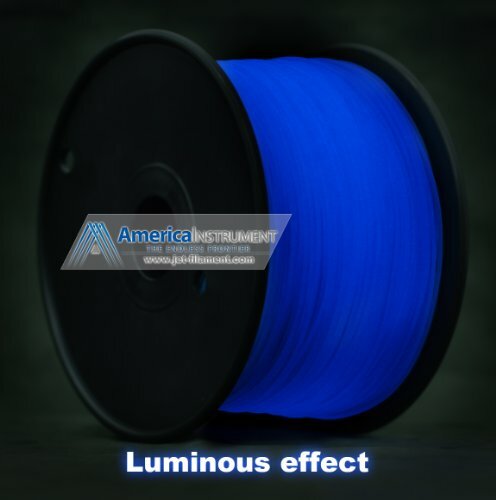 This is our new product which is hard to make.PLA, ABS filaments are the printing supplies for 3D Printers (e.g., RepRap, MakeBot, UP! Printer).